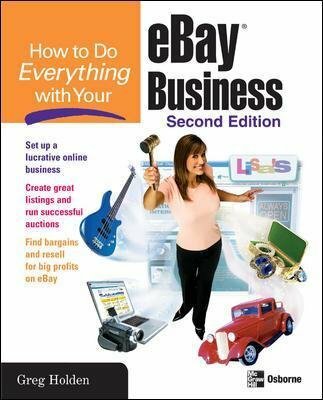 This user-friendly book shows you how to turn the satisfaction and excitement of eBay sales into a lucrative small business--and possibly even a full-time job! Find out how to establish a seller's account, post attention-getting auction listings, and build confidence among bidders. Author Greg Holden explains how to apply the secrets of successful brick and mortar businesses to the online world. After learning the ropes, you'll find out how to boost sales with techniques such as no-reserve selling and "buy it now" pricing. Plus--tips for locating inventory, implementing marketing plans, and getting free advertising are revealed.